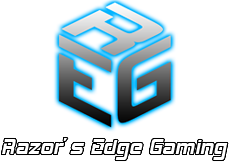 Recently, Hearthstonely sat down with the owner of Razor’s Edge Gaming, Mr. Gavriilidis. REG has been a staple of the Greek gaming scene for many years now. They have also made a place within the communities of the games they play, with the outstanding content they produce. 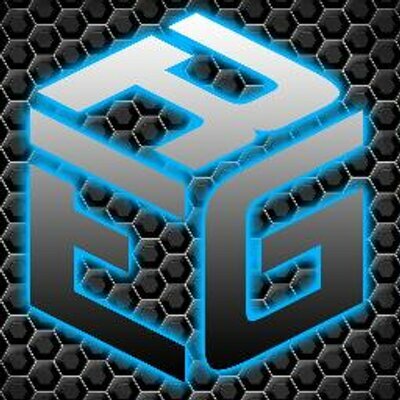 REG has teams in professional League of Legends, Yu-Gi-Oh, and Hearthstone; be sure to check out the various rosters on their site. And now, without further ado, join me as we have a chat with the owner of this excellent team. Welcome to Hearthstonely, Mr. Gavriilidis. We’re glad to have you with us today. Hello Hearthstonely! I’m honored choosing me for this interview! 1. You are the owner of teams in 5 different games: Hearthstone, CS:GO, League of Legends, Heroes of the Storm and Yu-Gi-Oh. What are some of the challenges you face trying to juggle all the titles? Yeah that’s true, and soon, one more team in PS4 console, which adds one more eSports platform in our arsenal. There are so many challenges having teams in that many games. Each of these unique players has a different mentality, so it takes a lot of knowledge on how to have everyone satisfied and how fulfilling their needs. Also, the nature of each game is not the same, so managing a team with individual players like Hearthstone and keeping them together as a team, needs different management from a team like League of Legends, which they have to play as a team and they understand a bit more the meaning of being a team. Finally, you need to pass, to all of your teams, the mentality that they are not enemies, but teammates too, even if they are playing different games! They work for the same purpose and they have to support each other to get something big as an organization! 2. The Hearthstone roster for Razor’s Edge Gaming is impressive; you even have a player who switched from Counter Strike to Hearthstone. What are some of the benefits to having multi-genre players on your lineup? Yeah I’m very satisfied of my Hearthstone team! We worked hard, starting from 0, to grow the name we have now, and everyone gave and gives his best! Having players with experience in other eSports helped a lot! They had the knowledge on how to work as a team, but also as individual players. 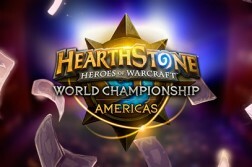 Also, since Hearthstone was a new game, having players from previous eSports, was a proof that they had the knowledge and the skill to compete in a new game as professional players! 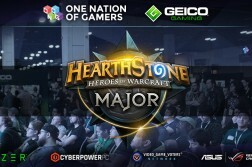 Hearthstone may differ a lot from Counter Strike or League of Legends, but they had what it was needed to manage the pressure of playing in a livestream or a LAN stage of a tournament, something that many of the rest new Hearthstone players lacked, and us the advantage to get an edge from the very start. If you take a look at all of the early pros in HS, they were ex pros in other games! 3. Stratos “Funyou” Marselos is one of the two last recruits on REG’s Hearthstone division and the youngest one. What prompted you to sign him over other hopeful players? We were watching Funyou for a long time before we recruit him, even before joining his previous team, PentaKill, and we found that he had many virtues as a young player. He is hard working, he has his own method of thinking, and he is very adaptive and cooperative. He also has the attitude it’s needed to become a top player! So we decided it was a good time to get him into our family! 4. Your site hosts the longest running tournament in Greece, Brawler’s Inn. What inspired you to start hosting the tournament? REG’s core members were veteran card gamers. Hearthstone was a new card game. There were not that many tournaments back then in bet. With all these, plus the knowledge on how to run cardgame tournaments, what’s a better way to promote the game you love, advertise your new team and get in contact with all the other players of your community? A community which is amazing how many fans it has! 5. 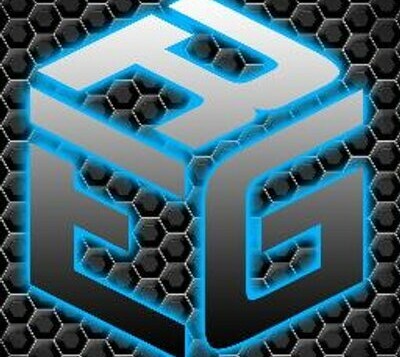 Team REG has been on the CCG/TCG scene for some time now, with teams in professional Hearthstone, and Yu-Gi-Oh. What made you decide to start out on card games? As I’ve mentioned above, we were veteran card gamers! So, we had many contacts to start a new org and get support from the CCG/TCG community fast. Card games were also missing the support on having live coverage in our country like it was in the rest of the world. What a better timing to have Hearthstone in beta? It was a link for us to get into eSports through a very promising electronic card game. 6. Your team recently teamed up with the Serbian team Virtual Gaming for the Thessaloniki International Fair for a League of Legends tournament. What benefits did you see for your LoL branch in the new partnership? Well, this partnership hasn’t went that good in the end. 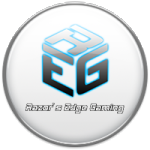 We started the cooperation with Virtual Gaming having the financial management of the team, letting VG to have the team/player management. After the end of the tournament, where the team hasn’t managed to pass the group stage, we decided to back off from this cooperation and focus in one roster, which is the Greek one we have now, and who finished successfully 3rd, at the 80th TIF eGaming tournament. 7. Razor’s Edge Gaming is one of the most respected gaming organizations in Greece, with multiple tournament wins under its belt. What difficulties have you faced since you formed the team? Having an eSports organization has a lot of difficulties, especially when it’s growing bigger day by day. One of the greatest problems is sponsorship. It is well know that eSports orgs main income is from sponsorships and a small part by winning tournaments. In our country it’s hard to convince companies to sponsor an eSport org. The term “eSports” it’s still quite unknown in Greece, and its growing with baby steps year by year. Thus, we have a double role, to promote eSports in our country and make companies more familiar with this new industry, and to promote and manage our teams to become well known in Greece and Internationally! Last but not least, a great challenge for a team is how to keep your players happy and motivate them, to keep trying to become the best! We, as REG, have a main goal for all of our players: to support them as much as we can to become the best, and to make them feel being part of a big family! 8. Team REG is an established part of the Greek eSports scene, and it must have been a rough road to get to where you are. How has running an eSports organization surprised you? Running an eSports organization is full of surprises, both good and bad! As I mentioned in my previous answer, running an organization has a lot of difficulties! It’s surprising how easy a community and your fanbase, can endorse you in one moment, and deprecate you in another! The line between success and failure is very thin and at eSports, if you are not careful and grounded, you can learn it the hard way! Being successful needs countless hours of dedication on what you do, trustworthy partners, and a lot of trial and error stages until you find the “winning” formula! Every time you reach your goal, you set your next, and work with even more passion! Number one rule? Never give up! A message for our fans? We win and lose together! 9. Your teams have been competing across the EU for over a year now. Who are your biggest rivals in Europe? Firebat! Haha! Even if he mostly plays at NA, we faced him 3 times at major tournaments and lost each of these! Marzito at Dreamhack Winter 2014 and BaDi at HouseCup #2 in group stage, and Krobatv at Gfinity Spring Masters Final! He is a very tough player with great knowledge of his decks and with countless hours of training! Well, we don’t have any rivalries it team level! We love competition, so we respect every team and the effort everyone gives to get eSports to a higher level! 10. You have experience in dealing with issues across a number of very popular games, what do you feel Hearthstone could learn from Yu-Gi-Oh and League of legends? I don’t think that Heartsthone has many things to learn from these two games, or any other game! It is growing very fast and in one year and a half, it has countless tournaments with great prizes, and a great number of fans, growing day by day! And I’m sure we haven’t seen anything yet! We all know that Blizzard is a company full of surprises and has the way to keep the fans excited! Thank you for your time today, Mr. Gavriilidis! 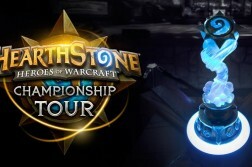 Hearthstonely wishes Team REG luck in the coming months of the winter tournaments!